Capcom has released a new trailer featuring the character of Cody DLC for Street Fighter V. Wrestling fans will notice in the beginning, who appears in the trailer. Street Fighter fan Kenny Omega from New Japan Pro Wrestling plays in the trailer with Cody playing at the beginning of the trailer. On the phone, he talks to none other than Xavier Woods, who is currently wrestling in the WWE. 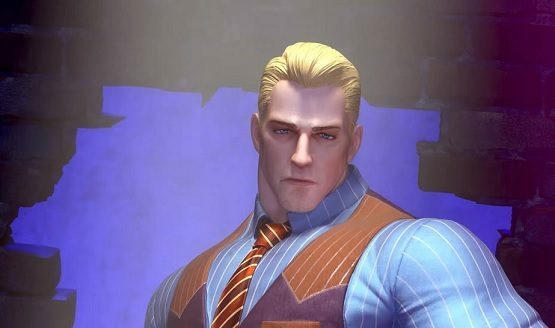 Here is a brief description for the Cody figure in Street Fighter V: " Cody Travers has spent his time behind bars, but has now become the new mayor of Metro City, although he is quite busy with his daily duties he will appear on June 26 in Street Fighter V: Arcade Edition as the fourth character of season 3. Cody's move to Street Fighter V: Arcade Edition is similar to those of his previous appearances, but changed to his new sly style . "